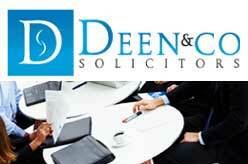 Deen & Co Solicitors is a Family and Divorce, Employment Law and Compromise Agreement law firm in East Ham, London (UK). Deals with all types of dismissal and discrimination cases, as well as Immigration and family matters. 2 Heigham Rd, East Ham, London E6 2JG, England.